3 Iraqi refugees were arrested in Northern Germany, for preparing a terrorist attack. 2 of the 3 suspects reportedly created homemade bombs and plotted to either commit an armed or vehicle attack. 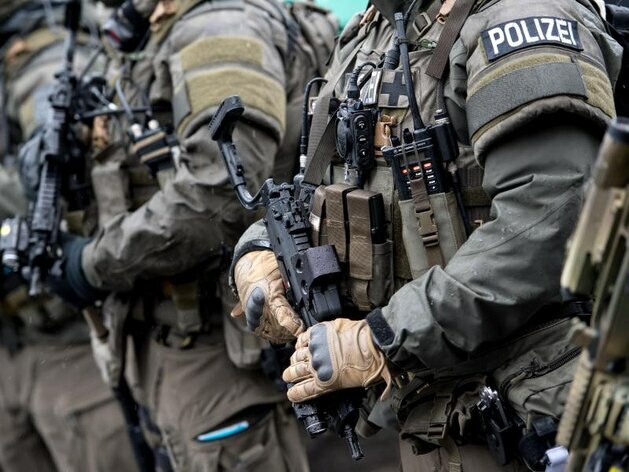 German authorities had been investigating the two 23-year-old and one 36-year-old Iraqi refugees months before their arrest in Schleswig Holstein. Investigators said that the two younger suspects downloaded bomb-making instructions on the internet and tried to purchase a bomb detonation device from the UK but British authorities stopped the purchase. The three also tried to purchase 9mm handguns but found it too expensive and turned their focus to committing a vehicle attack. One of the 23-year-olds took driving lessons at the beginning of January. The 3 terrorists sought to “carry out an Islamist motivated attack in Germany,” prosecutors said. “Further investigations must determine whether the accused are tied to any terrorist organization,” they added. It is unclear what if any actions the federal government in Berlin will take in light of this failed attack, but the leading opposition group, Alternative for Germany, is expected to use the incident to influence the public that to push for change in Germany’s controversial open door immigration policy, and to push the post-Merkel Christian Democratic Union (CDU) further to the right on immigration.